Sherri is one of the Best Mortgage Brokers out there. Unbelievably helpful, couldn't and wouldn't buy a house without her. She never ceases to amaze me on her quick skills and amazing customer service. She goes above and beyond ever time. Lawless Brown has gone above and beyond to make sure I found the right mortgage to meet my needs, and kept the process as stress free as possible. I highly recommend them! My wife & I dealt with the Lawless Brown Mortgage Team a few years ago. It was a true pleasure dealing with them. They worked extremely hard on our behalf helping us get the best possible rate with a great carrier. What impressed us most was their focus on us, how caring and genuine they were. After many phone calls, meetings and discussions, we were moving into our family home. We highly recommend their services! Sherri was an exceptional mortgage broker to work with. In addition to being a very knowledgeable individual, she made the whole mortgage application and approval process go very smoothly. We were delighted with Sherri and her team! Sherri came to the plate as our partner in dealing with a complex situation. She enjoyed aligning the right people and managed all the variables for us and never gave up until it was done. She was flexible and innovative and a shining example of what you need when dealing with multiple difficult issues in regards to a very wide range of obligations and deadlines. She kept us informed with the progress which really helped ease our fears. You can stop looking….I would recommend Sherri as your next mortgage broker. Thanks again to Sherri and the Lawless Brown Mortgage Team at Mortgage Depot. I cannot say enough about how wonderful the Lawless and Brown Mortgage Team is. I worked with them to get my first mortgage and I've been working with them ever since. Not only do they make the process nearly effortless, but they are always available to answer questions, and they do an excellent job of looking out for your best interests. Here you have a relationship with someone who can help you, not just get the mortgage set up at the beginning, but to help you throughout the 'life' of your mortgage. I've always felt treated as more than a valued client; to me, from the moment I walked through the door, I felt I was treated like family. I highly recommend the Lawless and Brown Mortgage Team to anyone looking for a seriously amazing mortgage broker. I honestly can't thank Krista enough for all the help she's given me over the almost five years that she's been helping me with my mortgage. Always friendly and extremely quick to answer any questions -- I don't know how I was ever so lucky to get someone so amazing to help me with my mortgage! Krista was a pleasure to work with. Our appointments were swift, organized and flowed effortlessly due to her nature. I could not recommend Krista & Sherri more. We feel that we were important, we felt as if we were a priority. Krista took initiative and kept us abreast without being prompted. Five star service from this team. Honestly, if there is anyone out there who is going to make me feel confident about borrowing a pile of money, its the Lawless Brown Mortgage Team with their excellent service: patient and articulate explanations of what all the fine print is about, prompt replies, and warm/supportive energy to boot. They're the whole package! Lawless Brown has gone above and beyond to make sure I find the right mortgage to meet my needs, and keeps the process as stress free as possible. I highly recommend them! Not only knowledgeable, but dedicated and personable. Without a doubt, you are in good hands when you have the ladies of Lawless Brown Mortgage Team working for you. As self employed first time home buyers my husband and I had many hurdles to overcome in order to get approved for a Mortgage. To be honest we weren't even sure it could happen especially after being turned down twice by our bank. Krista not only assured us every step of the way, she went above and beyond the call of duty to make it happen. We truly felt that she genuinely cared and wanted us to get our new home as much as we did. We had a fantastic experience working with Lawless Brown and would recommend them to anyone who is in need of a mortgage especially if their situation is unique. Krista and Sherri have done a great job for us, helping us with three mortgages over the years. Sherri and her team were been exceptionally helpful in all aspects of my home buying process. She got me a great rate I was very happy with and when it came time to sign, she found an even better one! I couldn't imagine buying another place without Sherri's help! Sherri was my mortgage broker but I also dealt with Krists when Sherri was away. Both ladies went out of their way to help me and to make sure I was comfortable with what was happening in terms of my mortgage application. The application was handled speedily and everything was completed within a couple of weeks. Great service and nice people to deal with; thoroughly recommended. I've been a client since we bought our first home, but I knew I would work with Sherri since the moment I met her at a bridal fair and she was the only mortgage services person there to treat me like a person and not just another number. When we were ready to buy, she worked with us to find a great mortgage that met all of our needs. Other banks and brokers tried to get our business, but their jaws dropped when we told them what we got through our broker. Even when we thought our business was done, Sherri kept tabs on our file and when a better option came along 4 years later, she gave us a call and we are saving $16k thanks to her efforts! We'll be going on a few extra vacations we never thought we could afford, and retiring early with a paid off home. Whenever I hear someone tell me they just got their mortgage through their bank, I shake my head. Choosing a mortgage broker was one of the best decisions I ever made. Sherri is awesome! Getting approved for a mortgage and buying my first home was something I knew next to nothing about. I was referred by a friend to speak to Sherri at Lawless Brown Mortgage Team. She was great at keeping things simple so I could understand, making me feel like I was important, and the communication was excellent I was never left wondering. The timelines were always met so there was no waiting and no stress, I was able to remove my conditions 3 days ahead of schedule. 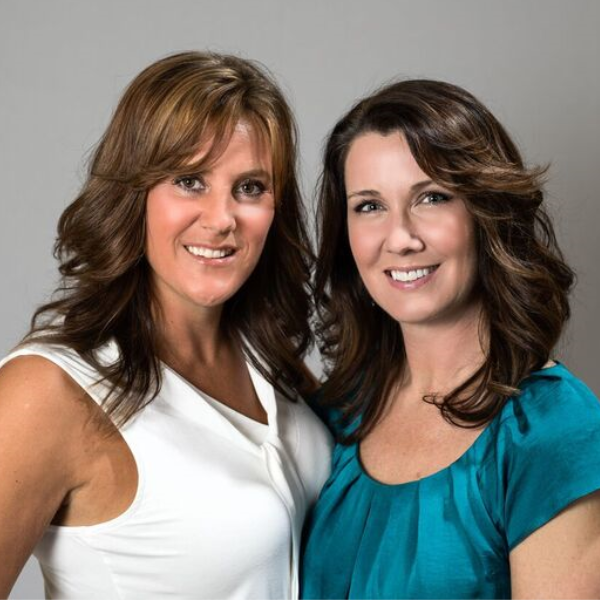 I highly recommend working with Sherri or Krista at Lawless Brown Mortgage Team, you will not be disappointed! Krista has always replied quickly to our questions and is such a pleasure to deal with. We have used Sherri's services for our last 2 homes. She does excellent work and we wouldn't hesitate to recommend her and Krista to anyone! Wonderful service, Sherri was fantastic to work with. I would highly recommend this team to anyone looking for a mortgage broker. Outstanding Service. As a first time home buyer I really appreciate the effort, attention to detail and patience of Krista as she walked me through the process. Sherri was absolutely amazing through the whole process. She went above and beyond to get us a better rate than we anticipated, and to make the process smooth and efficient. She was always there to answer any questions we had, or to lend expert advice. She helped us buy our perfect first home, and made the experience a positive one! I would recommend her services to anyone. We are really enjoying our new home. Still a little hard to believe it is ours.We know this purchase wouldn't have been possible without a great team of people behind us. Your hard work, as well as Krista's did not go unnoticed. You both were fantastic during a really difficult time and we very much appreciate it.